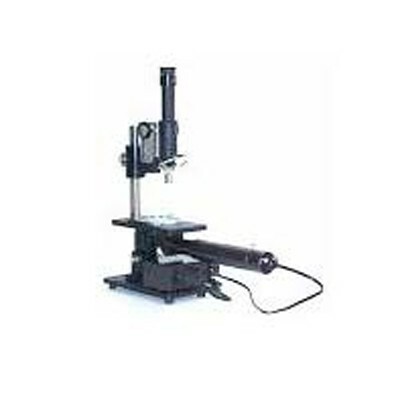 India Tools & Instruments Co. - one of the noted Centering Microscope Manufacturers, suppliers and exporters from Mumbai has its manufacturing base here in the home country but offer all its products to the national as well as the international market. With our years of experience, we are able to serve brilliantly tailored range to customers across the globe. Our products are made from high-quality raw materials and are used in various industries. It comprises of efficient lenses that guarantee high performance and accurate results. For the quality of our products and their excellent serving, they have a huge demand and get tested on different parameters. We are recognized as a trustworthy Centering Microscopes manufacturer, supplier and exporter from India. We offer our products in the international market, including Sri Lanka, Bangladesh, Taiwan, Abu Dhabi, Mauritius, Malaysia, Saudi Arabia, Iraq, Syria, Philippines, Uganda, Kuwait, Turkey, Nigeria, Jeddah, Dammam, Algeria, Kenya, Liberia, Bhutan and Nepal and Indian market, including Mumbai, Delhi, Thane, Meghalaya, Pune, Nagaland, Kerala, Orissa, Kolkata, Jharkhand, Punjab, Jaipur, Gujarat and much more. For more details, contact now.